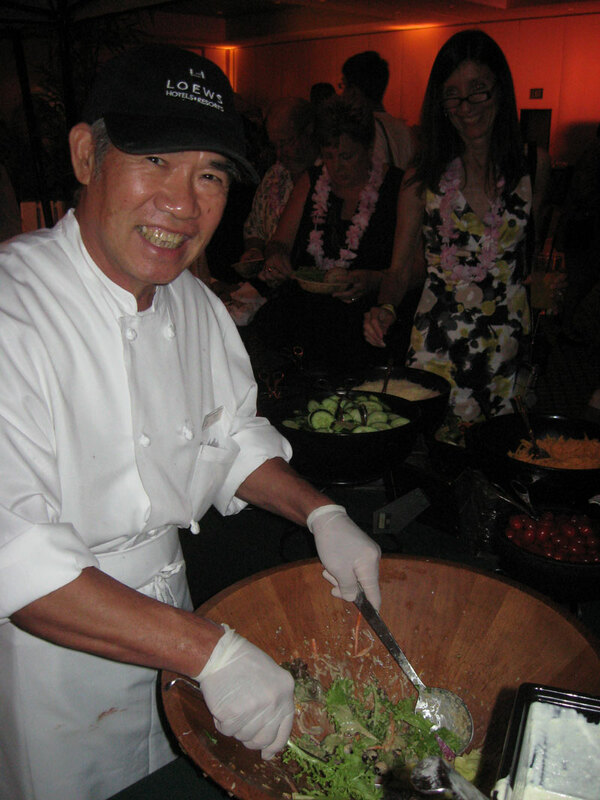 I received a media invitation to the Aloha Friday Farmers' Market Dinner hosted by Slow Food Orlando at Loews Royal Pacific Resort at Universal Studios Orlando and went to check out the event. Slow Food envisions a future food system that is based on the principles of high quality and taste, environmental sustainability, and social justice. We are working for food that is Good, Clean and Fair. We work with producers and co-producers: farmers, chefs, citizens, educators and other activists to ensure that the food shed of Orlando and beyond is safe, healthy and delicious! Please visit www.slowfoodorlando.org for more information. 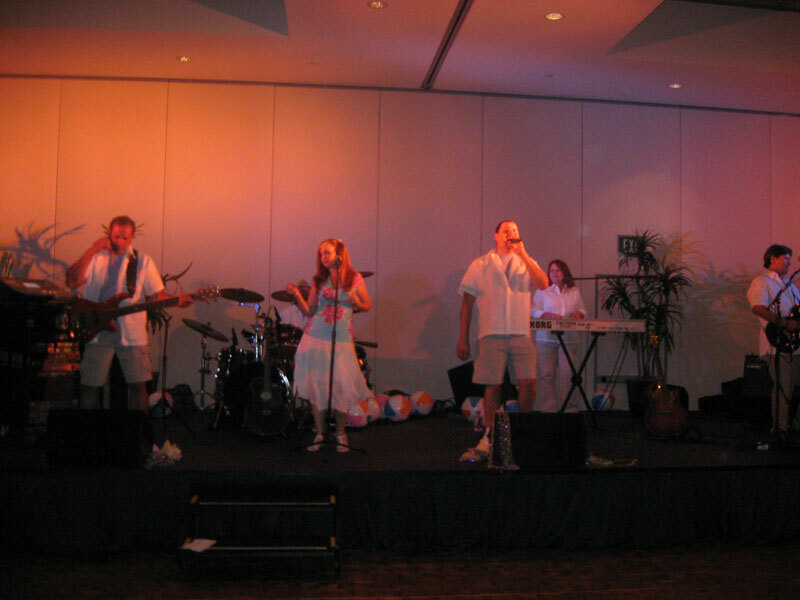 Music was provided by Volcano Joe and the Hot Lava Band. 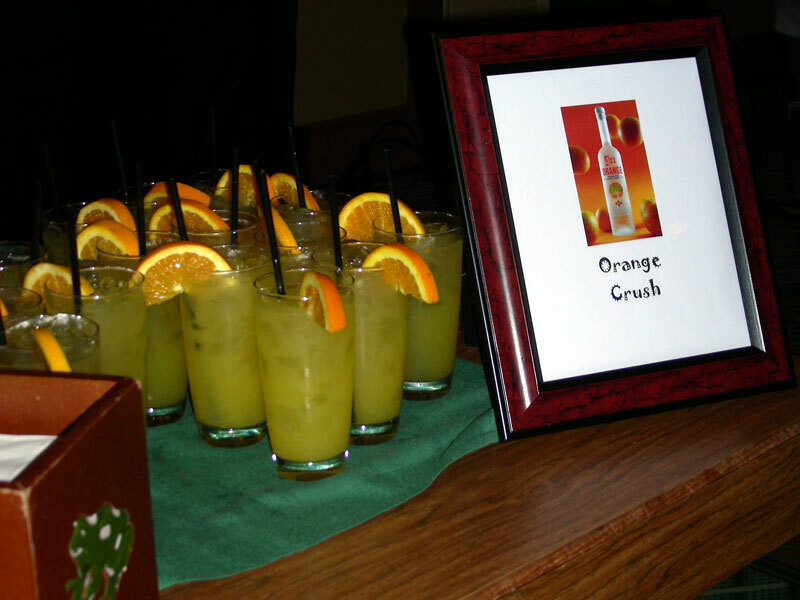 Orlando Brewing and 4 Orange Vodka served alcoholic beverages for the event. Starting off the food for the evening, I had a salad from the 'Create your own salad station' provided by Hearts of Christmas Farms. It was set up like a typical salad bar until the salad bowl was handed to an attendant who tossed the salad with dressing. My salad consisted of a nice variety of lettuces, cucumbers, carrots, red onion, sun-dried cherries, sunflower seeds, parmesan cheese, and was tossed with ginger soy dressing. The ginger soy dressing was really tasty! 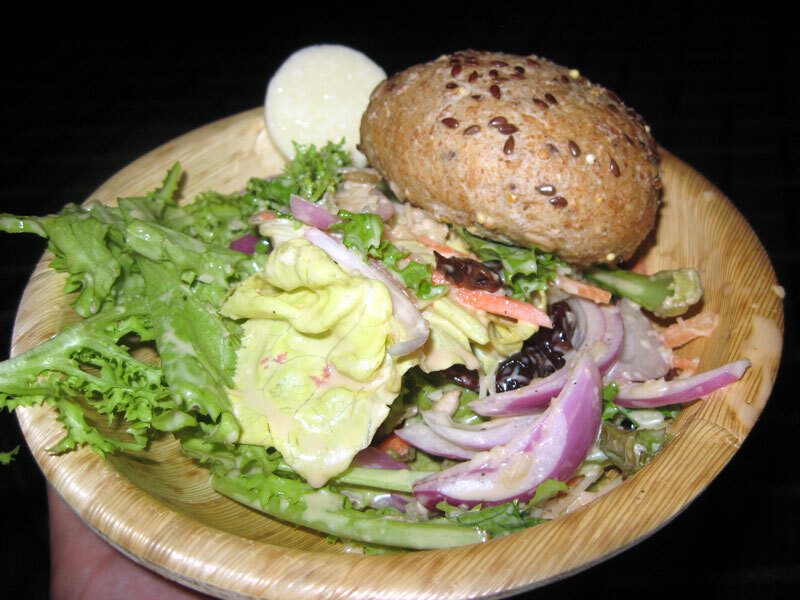 The bread that accompanied the salad came from Olde Hearth Bread Company in Casselberry. Olde Hearth definitely has some of the best bread in the area, including this swirly, two foot long bread stick. 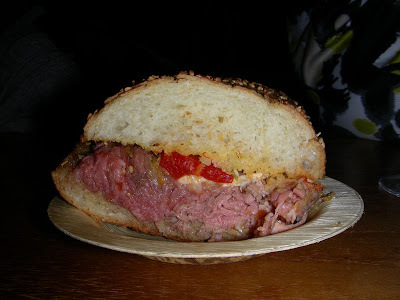 Deep Creek Ranch Livestock served All Natural Roast Beef Sandwiches. These sandwiches consisted of Italian style roast beef with fresh mozzarella, giardiniera, and sweet peppers on semolina bread. 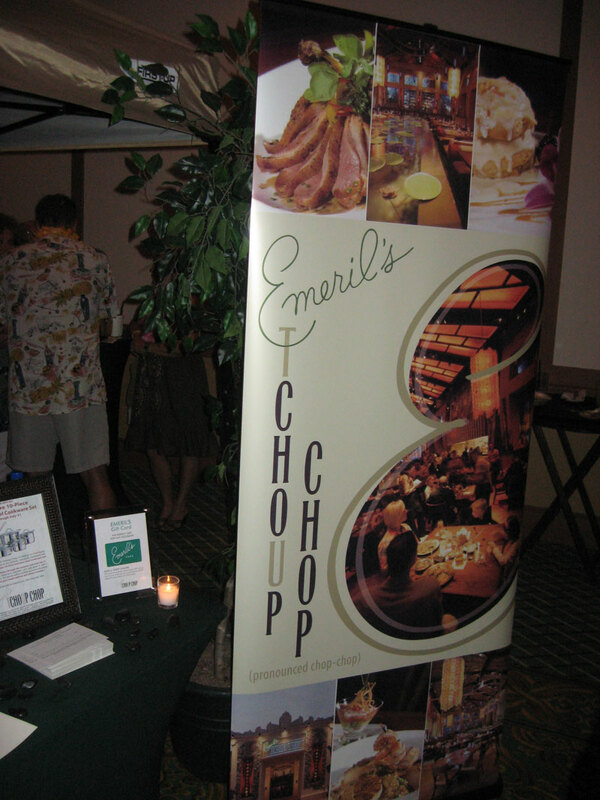 Emeril's Tchoup Chop was also serving food at the event. I'm not entirely sure if Tchoup Chop was serving local food, or if they were just there since the restaurant shares the Royal Pacific Hotel. Tchoup Chop provided two different sushi rolls. 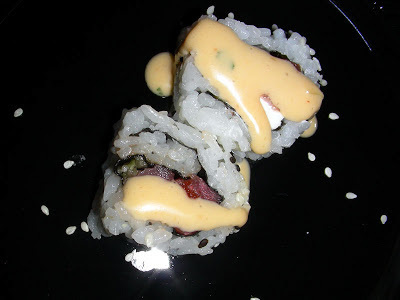 Each plate had a spicy tuna roll and a salmon roll with cream cheese and vegetables which were topped with a spicy sauce. Palmetto Creek Farms from Avon Park set up a Pork Taco Station. These freshly made corn tacos were filled with roast pork carnitas, shredded lettuce, guacamole, tomato salsa, and chipotle sour cream. Wild Ocean Seafood Market had this wonderful display of fresh fish set up, but more importantly, they were also serving Port Canaveral Shrimp Dumplings. These Ruby Red Shrimp Dumplings were served with bean sprouts, cilantro, and basil, all in a red curry broth. Out of the evening's food choices, these dumplings were my overall favorite! Finally, after all of that food, there was still dessert! From what I could gather, the dessert was made by the Royal Pacific Hotel itself. The Blueberry Upside down Cake consisted of layers of cake and blueberry, with chocolate at the bottom and topped with whipped cream and chocolate. I really liked the Florida Peach Cobbler, with it's peach filling and edible printed decorations on top. I definitely enjoyed the Aloha Friday Farmer's Market Dinner! It was humongous amount of food, all of which was really good. Even better, the majority (if not all) of the food came from local sources and everything seemed to be really good quality. I need to check out more of Slow Food Orlando's events in the future! They had lots of interesting flavors in the store. Looking at their website, they seem to have a huge list of rotating flavors, with some of the flavors sounding really different. Flavors such as Red Apple Lemon Ginger and Strawberry Balsamic Vinegar sound really good to me. Too bad they didn't have these when I visited. I had a small cup filled with Pineapple and Wild Berries gelato. Both were tasty with strong fruit flavors. My only complaint was the portion was smaller than what you would get at most other ice cream chains for equivalent prices. Otherwise, I enjoyed my dessert at Paciugo! I was recently sent information about Slow Food Orlando's latest food related event. Sound's like a nice menu! Chefs at Loews Royal Pacific Resort are celebrating the bounty of Central Florida with a special Farmer’s Market Dining Experience that features locally-grown food. In partnership with Slow Food Orlando and as part of Loews Hotels’ “Adopt-a-Farmer” program, the hotel consistently sources and buys food items that are grown and raised in the local area. 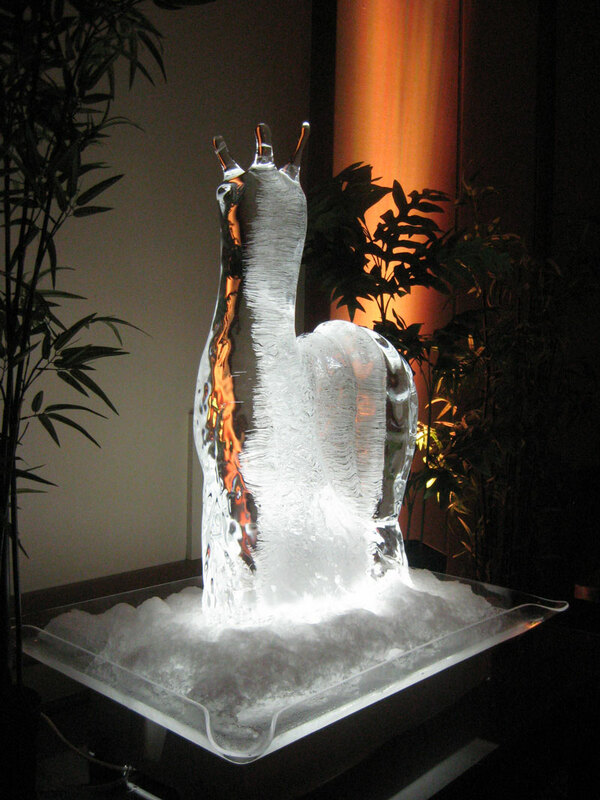 Experience the Farmer’s Market Dinner on Friday, May 28, 2010, from 6:30 - 8:30 PM. I stopped into the Joyland Arcade along the Daytona Beach Boardwalk for some dessert on the beach. It isn't exactly a fancy place and actually looks like the arcade has seen better days. Still, Joyland Arcade has a bit of a nostalgic feel and unlike it's former neighbors on the boardwalk, it hasn't been demolished. They had the food you would expect from a snackbar located in an arcade on a beachside boardwalk. Lots of fried stuff, and what I was looking for on this visit, a soft serve ice cream machine. I got takeout from Athen's Cafe in Winter Springs. I initially was going to order some sort of chicken pita, but then changed my mind and got their Falafel Pita. I'm glad I did too! This was some of the best falafel I've had in Central Florida. The falafel balls were full of flavor, fried to a crispy brown color on the outside, and moist and tasty on the inside. Feta, lettuce, onions, and tomatoes were also wrapped inside the pita. The side of tzatziki sauce was also really flavorful. Rather than the normal cucumbers mixed in yogurt, this tzatziki had a really nice kick of garlic. Being that most Greek restaurants don't have falafel on their menus, I was really surprised how tasty this falafel was! Overall, I enjoyed my meal and I'll definitely be back. Next time I'll be sure to get the full experience and eat my food in the restaurant instead of getting takeout. I ate lunch at the Honeybaked Ham on Colonial Drive in Orlando. These stores must survive most of the year on the money earned at Easter, Thanksgiving, and Christmas. Almost every single time I've visited their stores for a sandwich, I'm the only customer. Normally, I wouldn't think this would be a good sign for a restaurant, but after visiting a Honeybaked Ham a while ago before one of the mentioned holidays and saw the craziness of huge lines of people all with huge orders, I can see how they may be able to survive most of the year without too many customers. I ordered the Ham & Turkey Bella sandwich for my lunch. The sandwich consisted of ham, turkey, cheese, lettuce, tomato, onions, spicy banana peppers, and mayonnaise. While the sandwich was tasty, it wasn't anything amazing either. I personally found the meat to be sliced too thick and it would have been nice if the sandwich was toasted. Otherwise, it was a good sandwich. Definitely better than a few other sandwich chains out there. I was talked into running in the Jim Payne Blue Ribbon 5k that happened in Downtown Sanford on May 15, 2010. Of course, I was interested in the food that was served after the race. They had most of the normal stuff. Bananas, oranges, water, Gatorade, and cookies. In a bit of a change from the post-race food after other races I've run in, Hollerbach's Willow Tree Cafe over on 1st Street in Downtown Sanford provided soft pretzels and beer. After getting people dehydrated after running in 95 degree weather, is it a good plan to be feeding them alcohol and salty snacks that will get them even more dehydrated? I skipped the beer, but I did go for a pretzel. This soft, salt covered pretzel was pretty tasty. The salt did make me really thirsty, but there was plenty of water nearby. The pretzel reminded me that it's been a long time since I've eaten at the Willow Tree Cafe. I need to go and eat there again sometime soon. When it comes to Italian Ice in Orlando, Jeremiah's is the best I've tasted. On this particular visit, I stopped by their location in Maitland. I ordered a passion fruit gelati. Calling what Jeremiah's serves gelati is actually a bit tricky. In most other places, gelati would be plural of gelato, which is more along the lines of normal ice cream. Jeremiah's gelati is a parfait consisting of layers of Italian ice and soft serve ice cream. Out of curiosity, I did some searching and found that this type of gelati is a regional specialty coming out of Philadelphia. Don't set yourself up for disappointment by expecting the traditional gelati/gelato. The Italian ice was nice and tasty. It was slightly tart and slightly sweet, but it didn't skew too far towards either flavor. Mixed with the soft serve vanilla, the gelati was pushed more to the sweet side. As hot as it was on the day I had my dessert from Jeremiah's, this gelati was nice and refreshing! Like I said earlier, Jeremiah's has the best Italian Ice in Orlando in my opinion. Still, as good as their ices are, it can't compare to some of the Italian ice places up north. I'm still waiting for a store to open with a huge variety of flavors, at least double or triple of what Jeremiah's has, selling both cream and water ices, along with other types of ice cream. Jeremiah's may be the king of Italian Ice in Orlando right now, but there's a chance that they may be eventually be decrowned. And that could turn into a good thing for us. It could mean more places to get Italian ice in Central Florida! After running a 10k race in Lakeland, I found myself wandering around downtown and came across the Lakeland Farmers Market. They had a good selection of vendors. The food choices included at least three fruit stands, at least one selling locally grown organic fruits and vegetables. 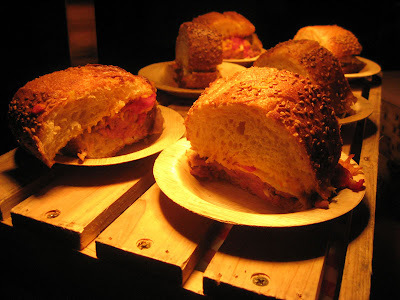 There was honey, bread, kettle corn, an ice cream truck, prepared Italian sandwiches, and more. The variety of edible items at this farmers market was really nice! Starlite Diner in Daytona Beach is located on A1A, just across the street from the Ocean Walk shopping area/hotels. This restaurant is in one of those great prefabricated diner buildings that aren't seen too often in Florida. I've visited Starlite Diner several times on my visits to Daytona Beach. Some meals have been better than others, but the food has always been pretty good as far as Florida diners go. The Turkey Club that I ordered on another visit was much better. The triple layer sandwich was filled with turkey, cheese, and mayonnaise on the lower level, followed by a slice of bread, then topped with an upper level of lettuce, tomato, and bacon. The sandwich was generously filled and was a whole lot to eat. Homefries and pickle slices were served on the side. It was a relatively simple, but yet tasty sandwich, leaving me with no complaints about the meal!